Can't Find Your Tools!Our Garages Are A Perfect Start! There is more than enough room in this garage for you to pull your full size vehicle into. 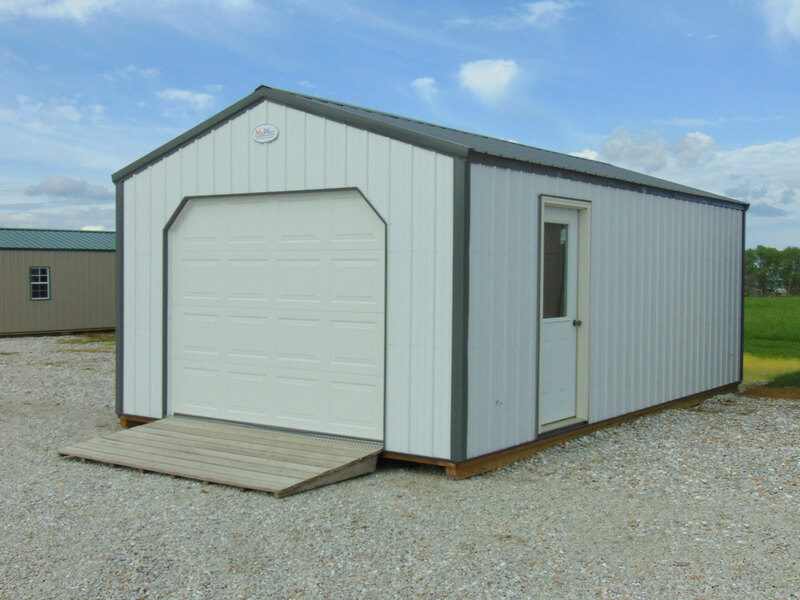 MidWest Storage Barn’s Garages come with 36″ 1-Lite Steel Entry Door. It does not come with any windows, but they can easily be added. You can also upgrade to an insulated garage door. No Problem...Need A Heavy Duty Floor! At MidWest Storage we know how important flooring is. We begin with our floor joists 12″ on center and use LP ProStruct 3/4″ Flooring with SmartFinish for enhanced durability. It is resistant to fungal decay and termite damage. It also resists warping, splitting, and cracking.